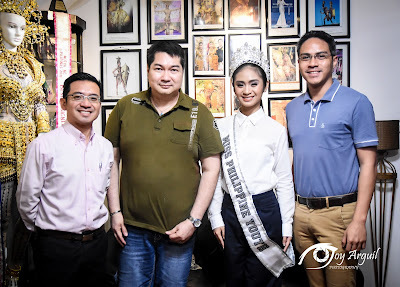 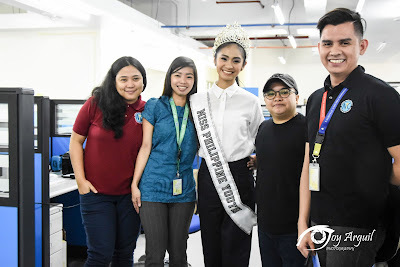 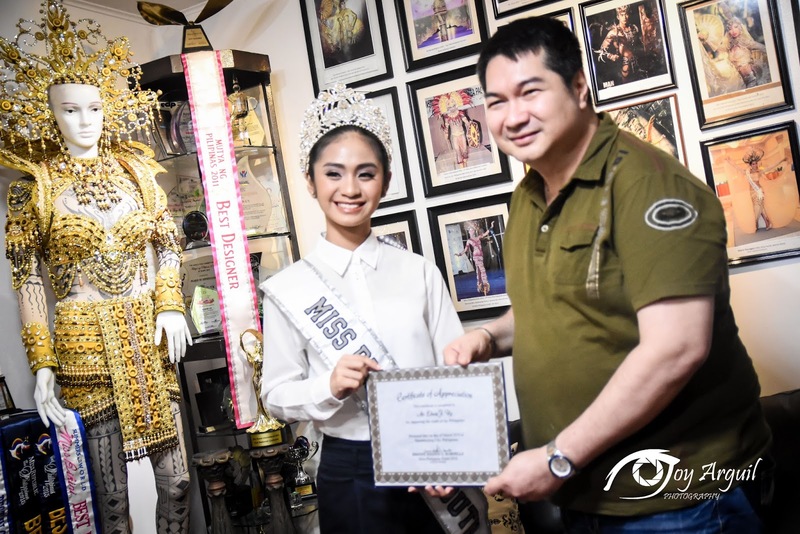 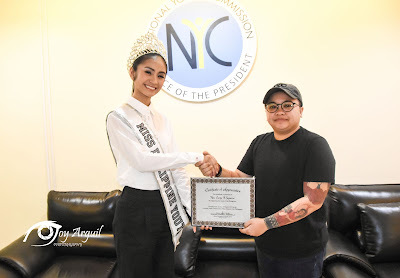 Young advocate and reigning Miss Philippine Youth 2018 Simone Nadine Bornilla met with the incumbent Chairman of the National Youth Commission, Hon. 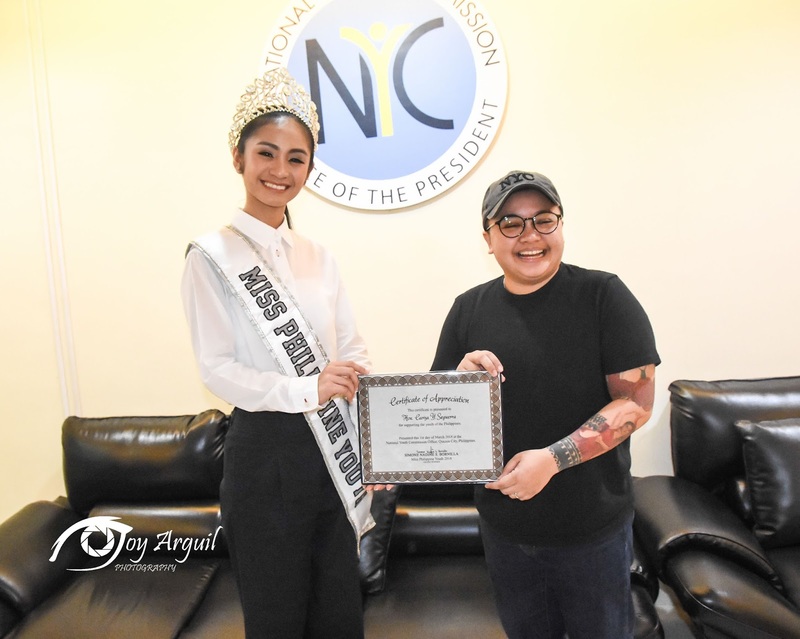 Cariza “Aiza” Seguerra during a courtesy call last March 1, 2018 at the headquarter of NYC in West Avenue, Quezon City. The NYC head who is a singer, television and a movie star was ecstatic to meet Nadine. 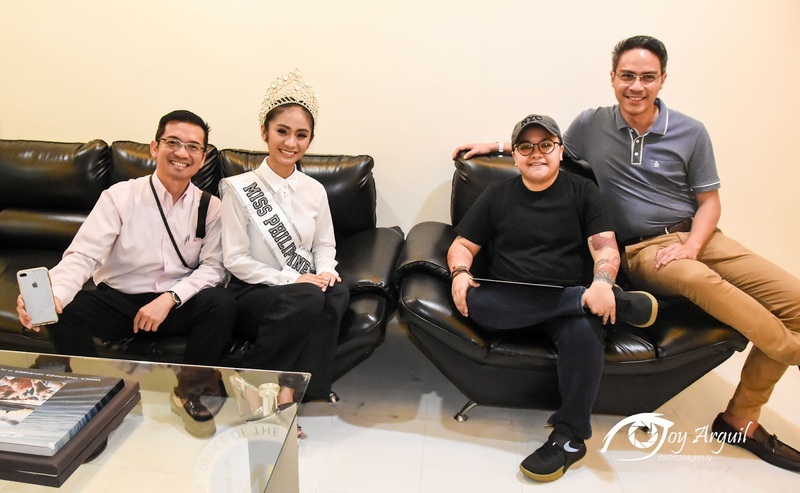 Aiza herself was also a product of pageant competition (Little Miss Philippines 1987) when she was 4 years old. 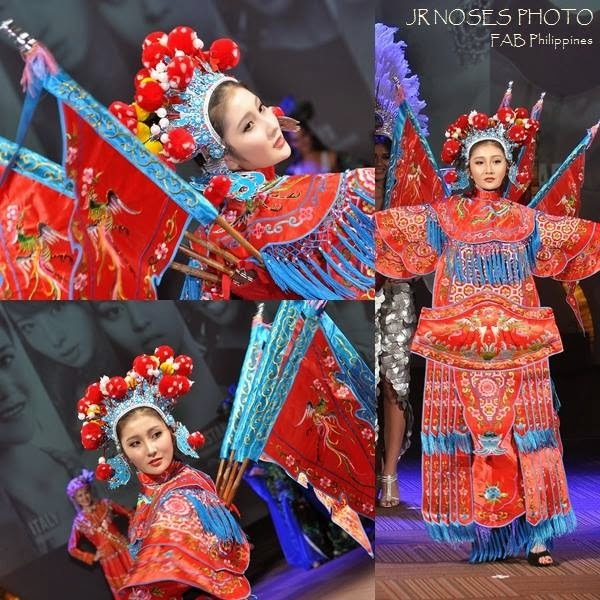 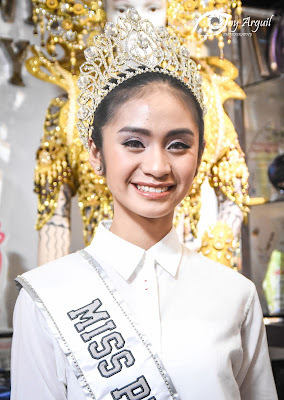 She says” Me and my wife Liza both experienced to compete in pageants when we were younger. She joined Mutya Ng Pilipinas and Miss Philippines Earth and I know especially in the recent years that behind the crowns and sashes of every beauty queens there’s a genuine concern on both humanitarian and environmental issues”. 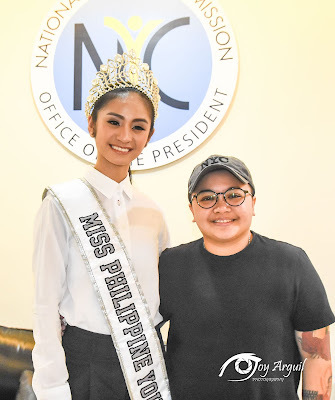 On her part Nadine was honored to talk with Ms. Seguerra. Accompanied by her parents, Nadine laid her advocacy and programs for the youth of the country and promised to extend her duties and responsibilities as young leader even after her reign. 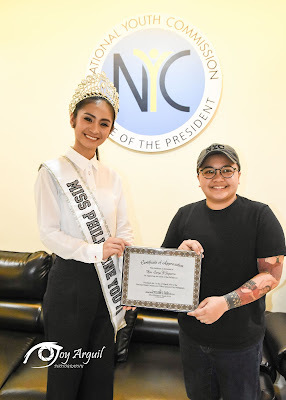 “It is a big privilege to discuss with Miss Aiza Seguerra about my plans as a youth advocate and personally handed-out the plaque of appreciation for her unending supporting to the young generation of the Philippines. 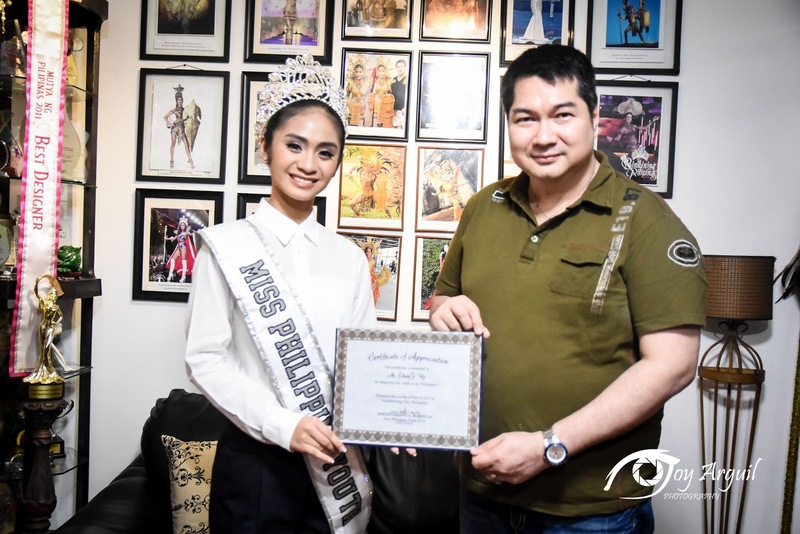 Hopefully this is not the last time that we will have a conversation. I am looking forward to meet her again in soonest time”, Nadine says. Earlier on the same day, Nadine visited the atelier of the multi-award winning fashion designer Edwin Uy in Mandaluyong City. Edwin is a close friend of the Bornilla family who always give his selfless support in all of Nadine’s competition way back in elementary days up to the finals of Miss Philippine Youth last January held in Palacio De Manila. 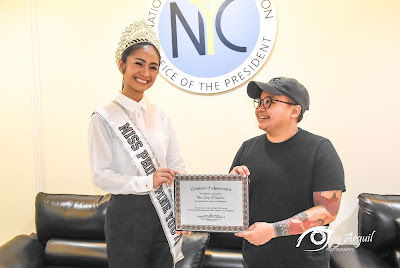 Nadine handed out a certificate of appreciation to show her gratitude and love to her Tito Edwin. 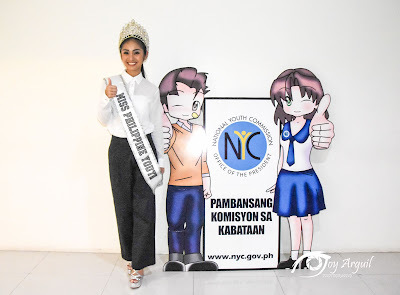 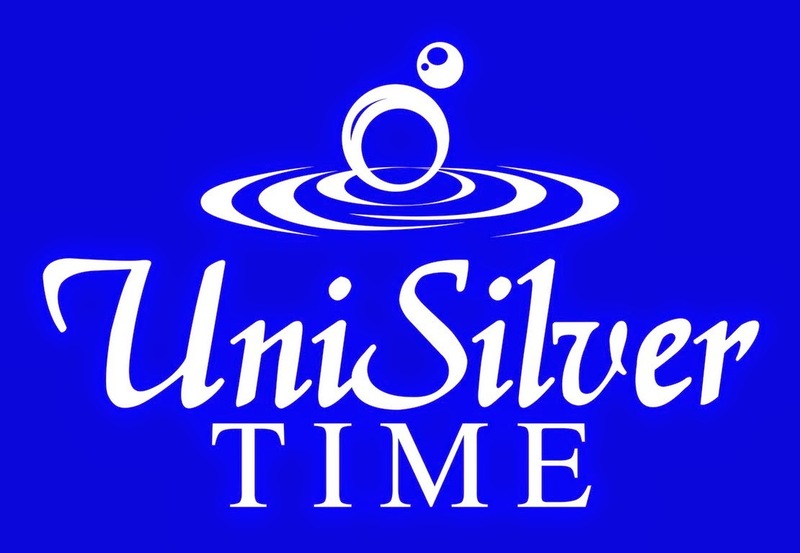 For the coming days, Nadine will be very busy attending not only to her duties as Miss Philippine Youth 2018 but also to many invitations to grace other events within and outside the metropolis.